By the end of June of this year, all legacy PPC campaigns will need to be migrated to Enhanced Campaigns. At Exclusive Concepts, we have already begun the process of migrating our clients’ accounts. Along the way, we’ve learned how to best make the transition while utilizing the new Enhanced Campaigns capabilities. The following is a list of items you’ll need to consider when making the switch. One of the most important questions you’ll have to ask yourself is whether or not you want to participate in the mobile space. If the answer is “yes,” you’ll need to set an appropriate mobile bid modifier. With Enhanced Campaigns, you are no longer able to set individual mobile-specific, keyword-level bids. Rather, your mobile bid is a percentage of your desktop-level bid at the campaign level. For example, let’s say you are bidding on two keywords. The bid for Keyword A is $1, while the bid for Keyword B is $2. You must set a campaign-level mobile modifier. If this modifier is -20 percent, then the bid for Keyword A on mobile devices becomes $0.8, while the bid for Keyword B becomes $1.6. It’s imperative to understand that you don’t have the same control of your mobile keyword bids as you did before. As always, the best way to ensure that you are setting the right mobile bid modifier is to review your data. If you currently have mobile specific campaigns, review the metrics and see what makes sense in Enhanced Campaigns. For example, in your new Enhanced Campaign, your average bid will need to be $2.5 in order to be within the top three positions. You can see from your legacy mobile campaign that the average cost per click was $0.5, and the average position was 1.2. If you would like to keep this position, your mobile bid modifier should be set at -80 percent. In other words, your mobile bids are one-fifth of your desktop bids. If you don’t have the data, it’s best to use the AdWords Keyword Tool to see what the average cost per clicks are on mobile devices. 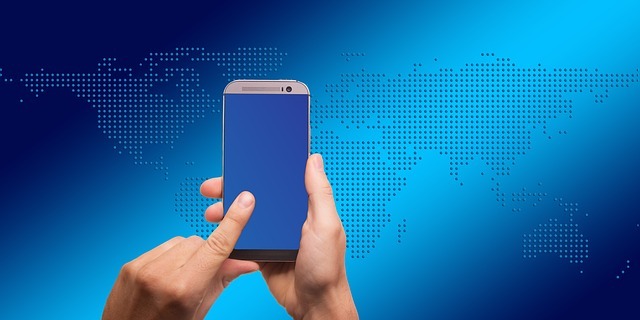 With this data, set a mobile bid modifier that you are comfortable with. As you can see, both ads show above the fold and text is not truncated. A normal text ad can contain up to seventy characters between description lines one and two. When writing mobile text ads, we recommend no more than sixty characters between the two lines. When you do write your mobile text ads, make sure you are checking the “Mobile” radio box. By checking this box, you are telling Google that you would prefer this ad to show only on mobile devices. Just like regular ads, we recommend A/B testing two mobile ads in every ad group. With the advent of Enhanced Campaigns, call and sitelinks extensions have been improved. The call extension has allowed advertisers to add a Google-generated phone number within the vicinity of an ad. When dialed, this number will redirect to the advertiser’s main line and could be tracked within AdWords. In essence, a phone call could unofficially count as a conversion. With Enhanced Campaigns, you can now track phone calls as conversions when they last for a certain amount of time. You can also use your own phone number(s) next to ads. If you use call-tracking software, you can add your number(s) to the call extension and track performance. Finally, call extensions can now be scheduled. If your business is only open 9 to 5, you only need to display the number during this time period. Advanced sitelinks are a major plus with Enhanced Campaigns. Historically only available at the campaign level, sitelinks can now be created for individual ad groups. For example, let’s say you have a campaign around coffee tables and your ad groups consist of “modern coffee tables,” “round coffee tables” and “oval coffee tables.” Previously, you would have had to create generic sitelinks that would be applicable no matter the search. Now, your sitelinks can be unique to each ad group. 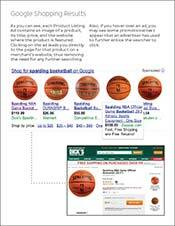 Within your “round coffee tables” ad group, you may decide to use specific round tables as sitelinks. Ad group-level sitelinks allow for much more relevant links, while continuing to take up additional real estate. Another great feature of sitelinks in Enhanced Campaigns is the ability to target mobile devices. 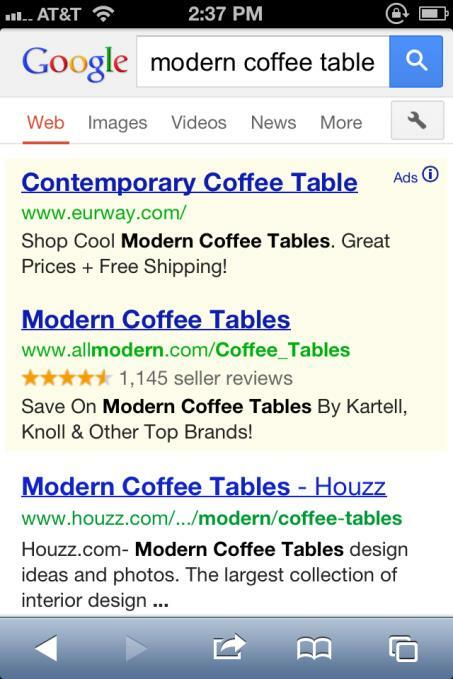 You can create sitelinks that will just show on mobile devices. In this case, it’s necessary to classify whether or not the sitelink is meant for mobile. Just like with mobile text ads, there is a radio box that you can check off to designate just for mobile. Enhanced Campaigns are here and will soon be mandatory. There are many items to analyze when making the transition so it’s essential to spend the necessary time in your account. At Exclusive Concepts, we’re making sure that our clients’ performance will continue to thrive after the transition. Early case studies from Google and Exclusive Concepts have not only shown that Google Shopping a highly effective advertising medium, but it can lead to significant, incremental increases in sales and revenue for your business. 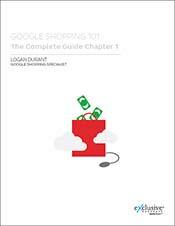 So we’ve created an easy to understand guide to Google Shopping we’re distributing for free as an ebook. In this e-Book, you’ll learn exactly what Google Shopping is, how you can get started, and how you can employ a multitude of techniques to significantly grow your online sales. 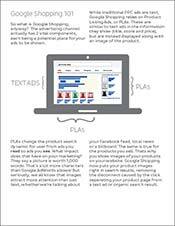 An overview of what Google Shopping is, its impacts on shopping behavior, PPC management. Google and Exclusive Concepts Present: Are You Prepared for Holiday 2014?